Today I have a simple card that I can send to a friend for any occasion. 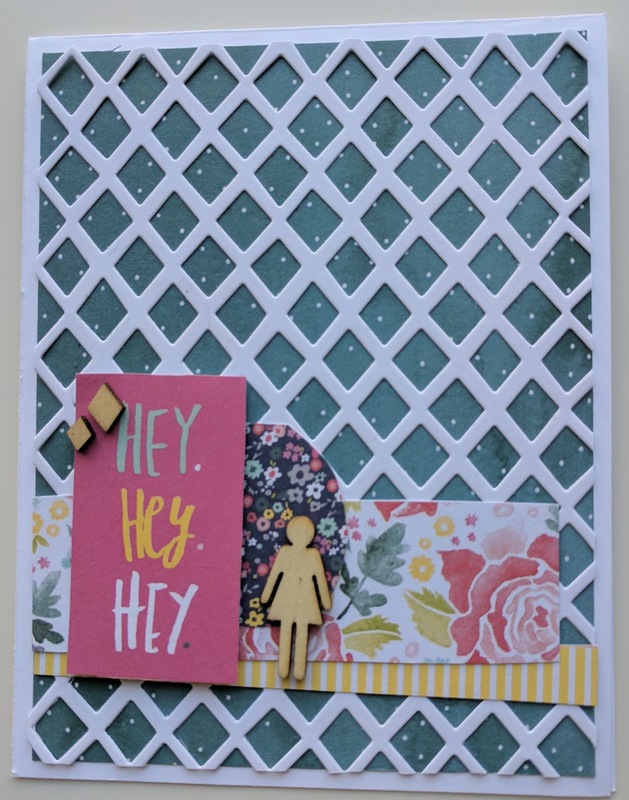 The card started when I was testing a new die I got from the Studio Calico sale a couple weeks ago. The lattice background. 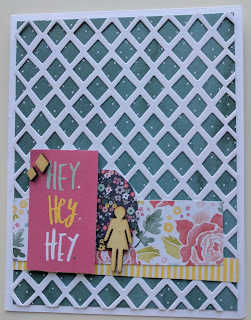 I then grabbed the Lovely Day by Dear Lizzy 6x6 pad found a piece for the background and then some cut parts to layer. I felt the card still needed something and grab my box of old wood veneers. A quick and simple card that made a tiny dent into my collection of 6x6 pads.